Be confident that your special wedding day will be planned with matchless professionalism and style at Hampshire Country Club. Our newly built patio offers stunning views of both the Long Island Sound and our finely manicured golf course. Our recently updated 35,000 square-foot clubhouse provides a beautiful space for your reception only minutes from the New England thruway. Hampshire can also accommodate showers, rehearsal dinners, post-wedding brunches and golf outings for your wedding party and guests. Comfortable sitting rooms, exquisite floral arrangements, and a striking grand ballroom afford the ideal blend of ambiance and amenities. Our Bridal Suite and Groomsman Room allow each of you the privacy needed to prepare for your once-in-a-lifetime day. Hampshire Country Club is the perfect place for your special event. Our recently updated 35,000 square-foot clubhouse provides a beautiful space for your banquet or meeting. Comfortable sitting rooms, exquisite floral arrangements, and a striking grand ballroom afford the ideal blend of ambiance and amenities, whether for a party, celebration, business function, or other special occasion. For additional information or to arrange a tour of the Club, please contact Dorothy Mourouzis at 914.698.4610 x214. You are also invited to request information via email at dmourouzis@hampshireclub.com. 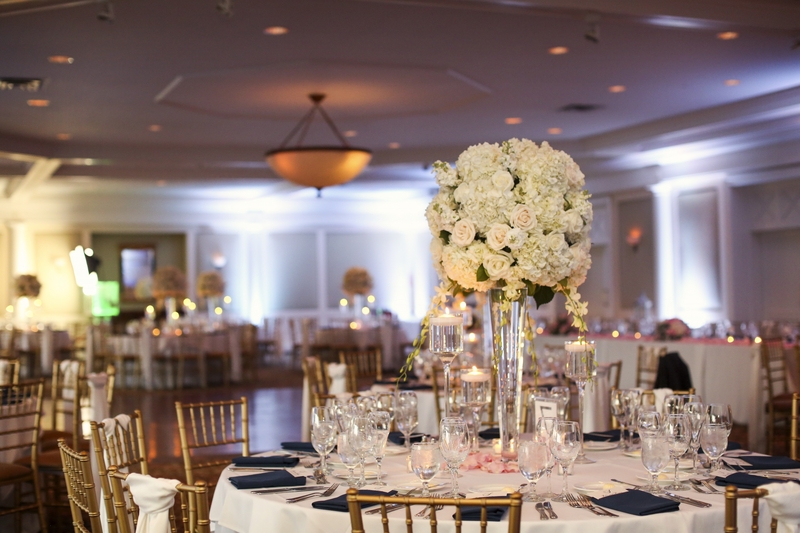 Dorothy Mourouzis is a Top 10 "Best Party Planner" ranked by CBS News Eye on New York Edition and will work closely you throughout the day to ensure that your special day is stress-free. Click here to ASK THE WEDDING PLANNER! Click here to view testimonials from recent events held at the Club!